The human body is capable of incredibly diverse and complex movements, but modern day living rarely has us do much beyond sitting, walking and standing. We go from bed, to car seat, to desk, to dinner table, back to bed. Primal movement is basically moving in the ways that we have evolved to; reclaiming our innate ability to move. With mobility, ‘use it or loose it’ is a very true statement. If you watch a toddler crawl, stand, squat – they are completely unrestricted in their movement. This natural freedom of movement that we are born with is eroded and sometimes lost as we age, simply because we don’t move enough! A lot of modern exercise programs fail to address movement deficiencies – or at worse further exaggerate muscular imbalance. Breaking away from the idea that movement is only effective if it burns calories or builds muscle can have a profound effect on your body. Primal Movement will improve strength, mobility, posture and fitness – but also your capacity to move with balance and coordination. To move with less effort and tension…it literally develops your central nervous system to ‘move better’. This is why it translates so well into sporting performance, as well as lifestyle training. 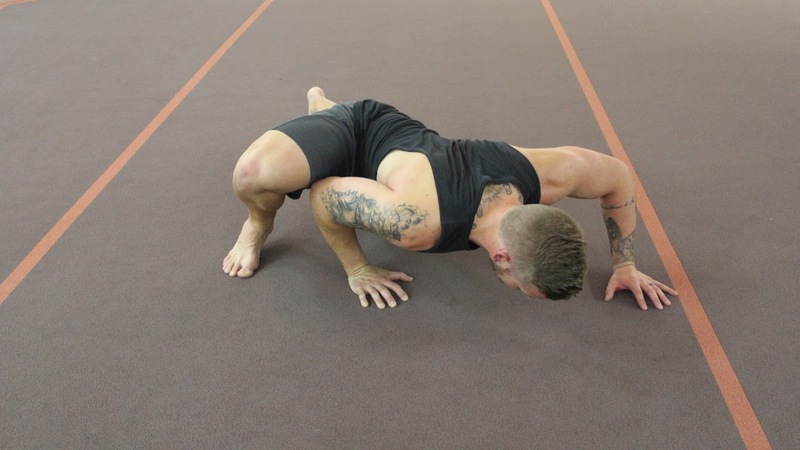 Flexibility – most people think of stretching to increases their flexibility but with Animal flow you’re also increasing strength at the same time rather than simply sitting still doing a static hamstring stretch. Flexibility in some joints can be increased through exercise, remember the more you do something the more your body will have the need to become more flexible. Stability – core stability is so important to any movement pattern and in Animal Flow workout it is definitely being utilized. Most people think of the core as simply being the abdominal muscles but in actuality it not only consists of the abdominal musculature but add to that the hip abductors/adductors, hip flexors, pelvic floor, and lumbar spine. The lumbar spine is very important to strength and stability for posture in exercise and sports. Endurance – It’s really important to train the aerobic system during the endurance phase of training and this can be done in a myriad of ways but with Primal Flow you can simply speed up the movements to achieve better endurance for various sports or overall fitness. Fun – It’s fun! Working out can be hard and challenging but if you’re doing something that is also fun then it feels just a bit easier in some ways and exciting in others without feeling like you got hit by a truck at the end of it. Strength – you build a lot of strength by lifting your own body weight and taking it through these various animal flow movements but also from the resistance of pushing your own body weight off the ground.